Heading into just the third meet of the 2017 season, No. 13 Cal women’s gymnastics already has a title to defend. 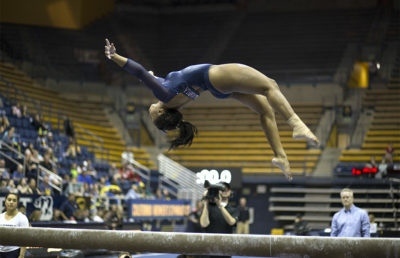 In their opening meet, the NorCal Classic, the Bears comfortably defeated San Jose State by a score of 195.325-192.600. They will be looking for the same result Saturday, when the Spartans return to town for the season’s first tri-meet. The Bears are off to a strong start, particularly on beam, where they have completed two consecutive sweeps. 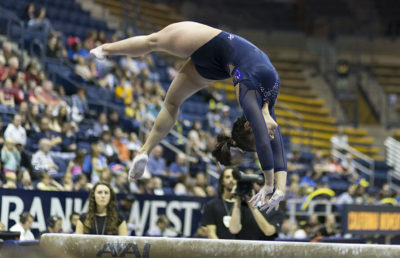 They have demonstrated commendable consistency as a team on the event, with four different Cal gymnasts claiming first, second or third place titles in the first two meets. 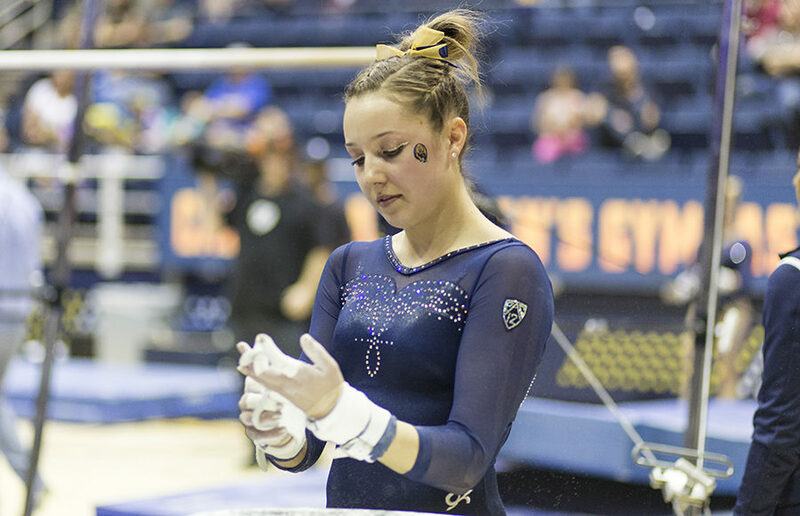 Senior Desiree Palomares has won beam twice in a row, beating out competition from a total of five different teams (No. 24 Sacramento State, UC Davis, Stanford, San Jose State and Iowa). Freshman Cassidy Keelen also laid claim to a second place title in the Bears’ defeat of Iowa last weekend with a score of 9.850. With a fifth place finish out of five in the NorCal Classic, followed by a loss to No. 24 Sacramento State, San Jose State heads to Berkeley with a lot to prove. The Spartans are averaging just a 192.6625 compared to Cal’s 195.438 and Washington’s 195.175. San Jose State freshman Taylor Chan, however, was recently named Mountain Pacific Sports Federation Women’s Gymnastics Freshman of the Week. 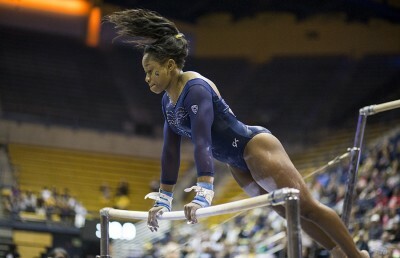 The Canadian gymnast tied for first on vault and second on floor when the Spartans faced Sacramento State last Friday. The meet will also feature the Washington Huskies, who, on the other hand, have had just one meet so far this season. The event featured stiff competition: then-No. 22 Ohio State, No. 11 Michigan and Kent State. The Huskies came in third but amassed an impressive score of 195.175. Husky junior Josyln Goings could present an interesting challenge for Palomares on beam, as she posted a career-high 9.925 on the event in Washington’s first meet. As a team, Washington scored 49.175 on beam, higher than Cal’s total beam score in either of its first two meets. Besides simply continuing its pattern of consistency, the Bears could certainly benefit from calmer performances from Keelen and fellow freshman Alexandra Dudschus. Dudschus has shown improvement between the first two meets, turning a 9.000 on bars and a 9.525 on floor in the NorCal Classic into a 9.375 and a 9.700, respectively. The rest of the team will simply need to perform in a similar manner as it did in the first two competitions of the season. The Bears have not scored below 48.550 on any event this season, and that low score came only as a result of two falls on bars. The Bears will need to show they’re deserving of their top 15 ranking, and they could do so by defending their title this weekend and possibly even adding a new one.